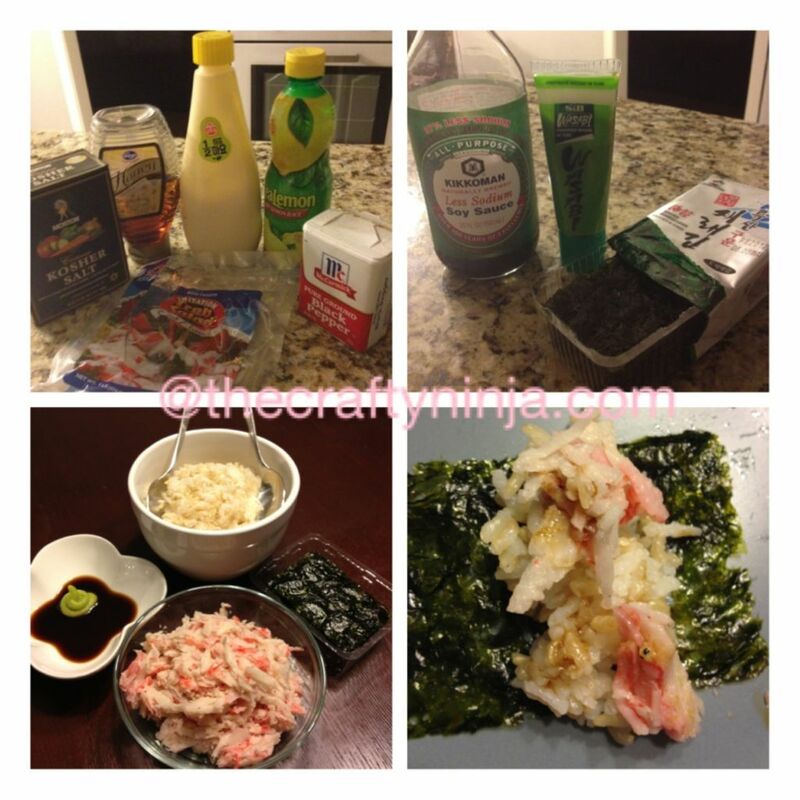 Crab meat: Imitation Crab Meat, Salt, Honey, Mayo, Lemon juice, Pepper. Wrapping: Roasted Seaweed Laver, Rice. This is called family style because each person makes their roll, which is simple to eat and prepare! The seaweed wrap is bite size and comes in its own little package. The preparation is done only when combining the ingredients to make the crab meat, sorry I don’t have measurements because I prepare it by taste. All the ingredients can be purchased at your local Asian mart.